Time for another foundation review! I have been interested in trying some more foundations lately and this is quite a recent release I figured to bump it up the review line. This is the L’Oreal Infallible Fresh Wear foundation and it is the updated formula from the older Stay Fresh foundation. 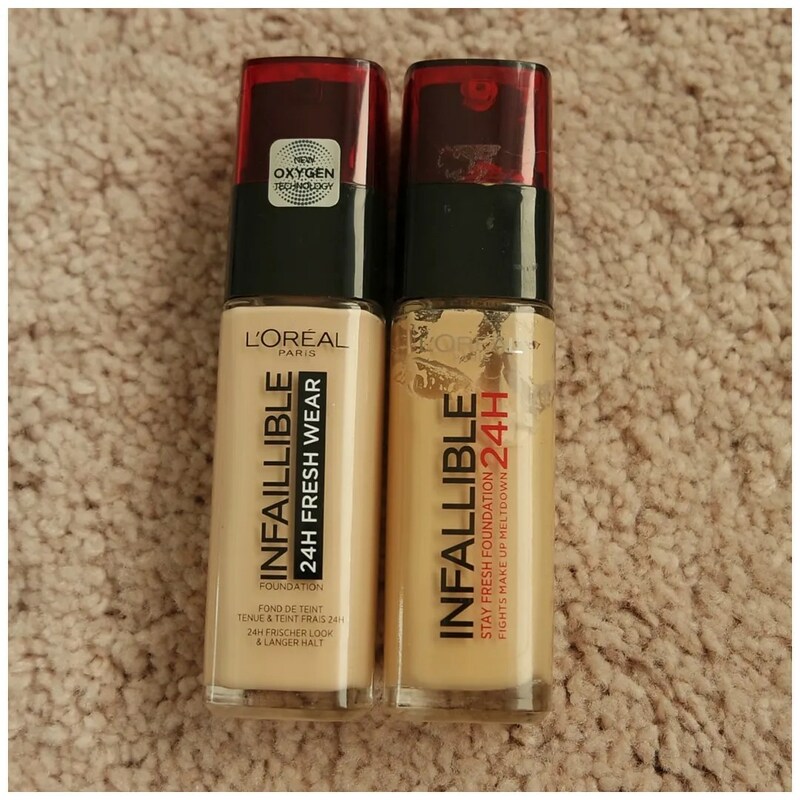 I reviewed the Infallible Stay Fresh foundation more than year ago. While I liked the formula, the shade was much too dark for me despite it being one of the lightest in the range. On top of that, it oxidized and me turned me orange. Not a great look. Now that the formula has been renewed AND available in a lighter shade, I figured I would give it another whirl. This is not a cheap foundation: it retails for €17.49. For a drugstore foundation that is a lot of money. When I looked this up, it seems to be available in just 8 shades in The Netherlands, but I also came across the US website and there is seems to be available in 30 (!) different shades and in the UK I can find 26 different shades. So if you can’t find your shade, then definitely have a browse around some international websites because there is a lot more on offer. 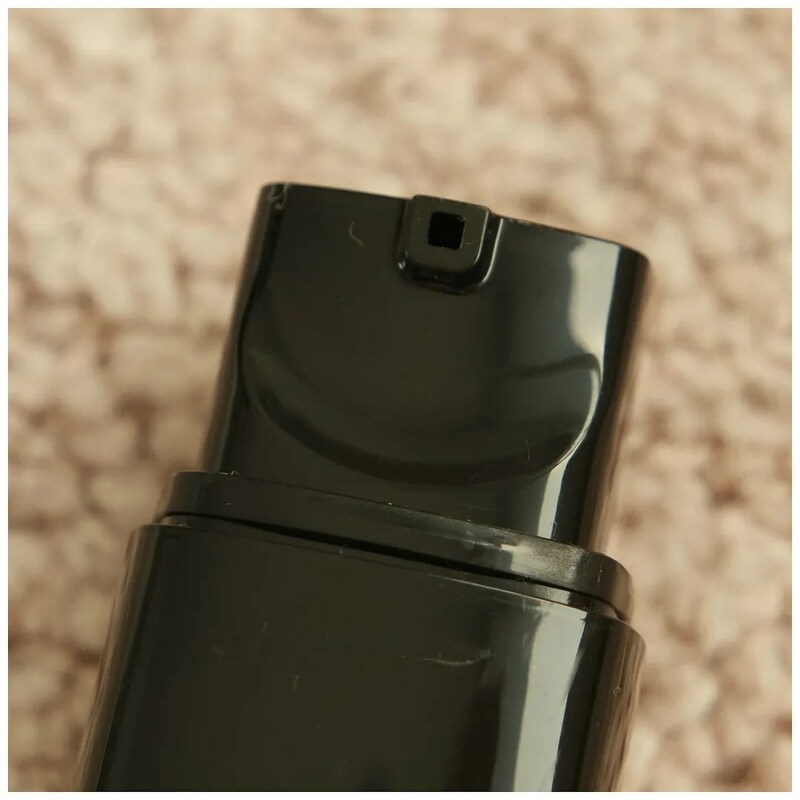 As with the Stay Fresh foundation, the Fresh Wear foundation has a black pump. One pump is all I need to get the amount for one application of this foundation. The pump works well and the bottle is very nice too. The bottle is made of glass and comes with a plastic cap. Since the bottle is glass you can easily see the shade of the foundation and how much you have left. This foundation is quite liquidy: just the way I like it. It has a rather creamy texture too though and I find this has a medium coverage that can be built up to full. It definitely has a richer texture than most of the foundations I usually try and it promises to have a long-wearing effect. Yet it should give a natural effect and not look cakey, even after hours of wear. 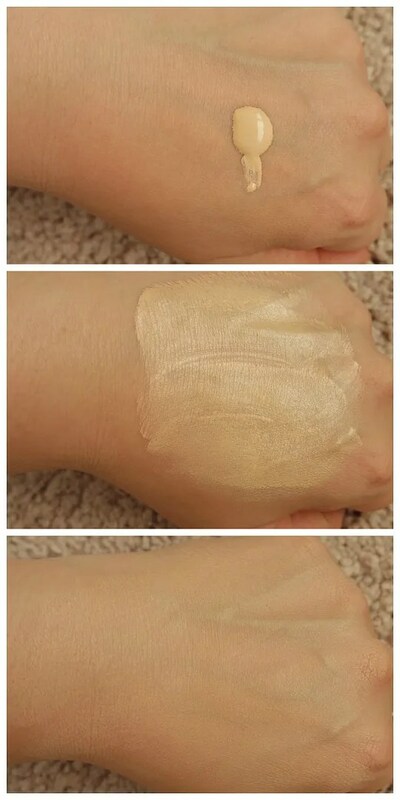 As you can see in the swatch the foundation has quite a dewy finish at first, but once blended into the skin this has more of a satin texture. It blends out easily and evenly and looks great all day. It barely transfers, doesn’t pull into any lines and it doesn’t feel heavy. In fact, when wearing this, I never even feel it and it glides on evenly, even over dry patches. The only place where I have found this wearing off at the end of the day is around my nose, but that is because I’m having a case of the sniffles and a bit of a runny nose, but other than that it stays put very well. Let’s have a look at the old and the new shall we? 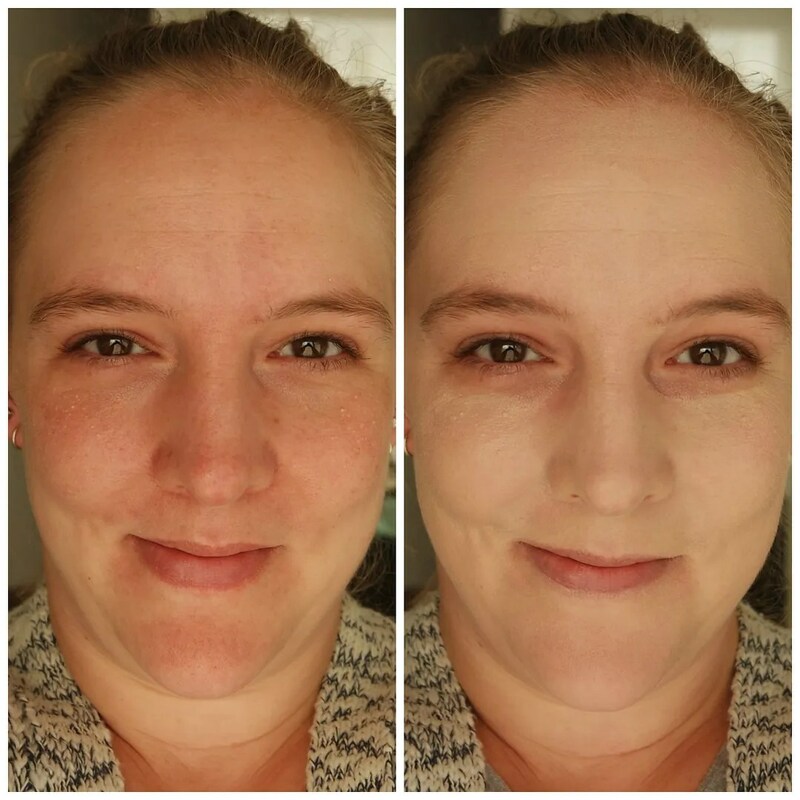 I still had the old, too dark foundation, because I felt it worked for me when I mixed in a bit of white foundation. As you can see I used it a little bit, but not much, precisely because of that dark color. You can also see that the bottles of these two foundations are nearly identical: the Fresh Wear foundation is definitely marketed as the updated version of the Stay Fresh. Here you can see the two foundations side by side. On the left is the Fresh Wear foundation on the right is the Stay Fresh. As you can see the Stay Fresh is not only too dark, it is also far too yellow for my skin tone. The shade I have this in is 120 Vanilla, which was the second to lightest shade available in the UK. In The Netherlands this shade wasn’t even available. The Fresh Wear foundation I own is in shade 20 Ivory and as you can see it is much more pink and a lot lighter than the Stay Fresh. In terms of coverage I feel they have a similar effect: both have a medium to buildable full coverage. The texture and finish is very different though. 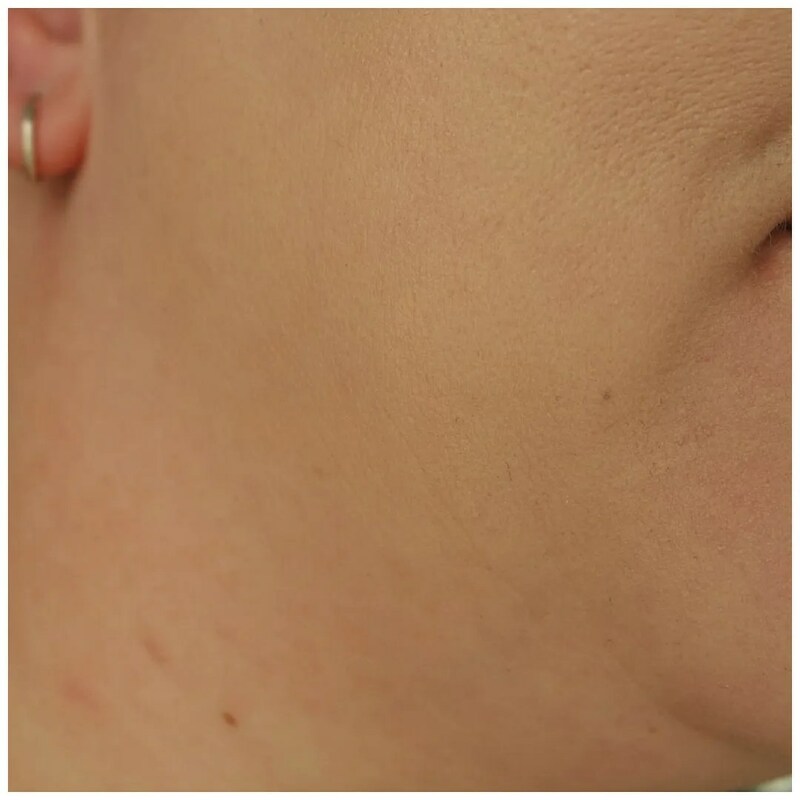 The texture of the new Fresh Wear is much more liquidy and easier to blend and it is less dewy. So what does the Fresh Wear foundation look like on? The shade match is quite perfect I have to say. It is a hair too dark on me and because this is a quite a thick texture with a medium coverage, this definitely is a bit more noticeable along the neckline. However, I do feel that when I blend it a bit more down my neck and add a bit of bronzer this looks really well. Anything lighter than this and I end up looking too much like a ghost. On my face, this looks very nice in the end. This is a very natural looking foundation on my dry and dehydrated skin. In fact, I think this makes my skin look a bit more alive almost, while it also covers most of my redness and discolorations. It definitely doesn’t cover absolutely everything: there are still a few areas on my face that aren’t fully covered and show a bit of redness. This is especially noticeable on my chin and nose area. After applying this, I feel this perfectly matches my neck without it making me look too pasty. All in all, I am very pleased with the performance of the L’Oreal Infallible Fresh Wear foundation. 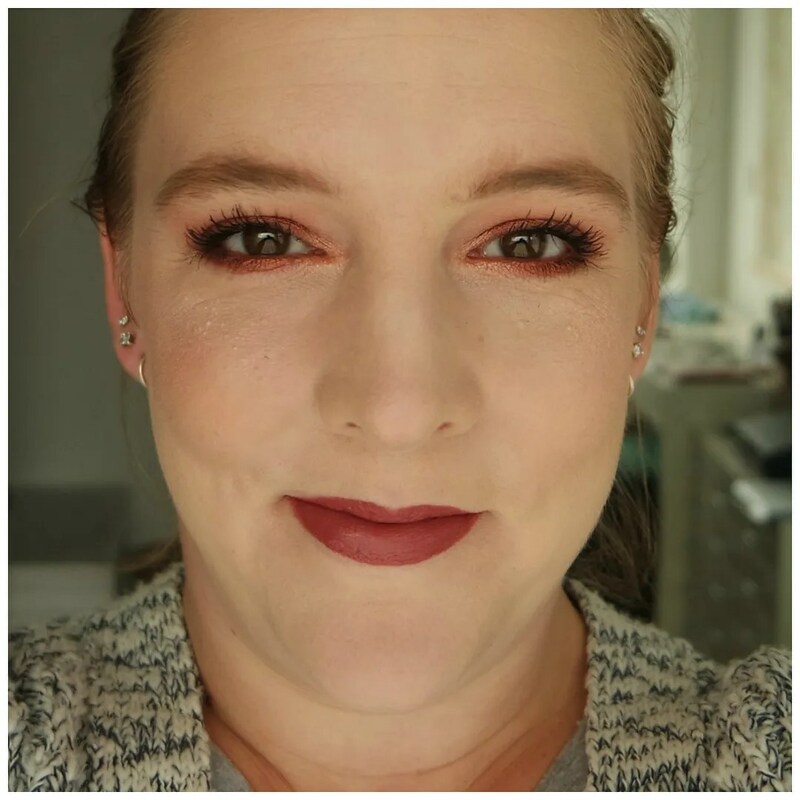 It certainly is a better formula, shade match and texture than its predecessor for me and I have been wearing this so much over the past few weeks. The richer texture causes my skin to look healthy and not super makeuppy, even though I set it with powder and it stays all day. This is by far one of the best drugstore foundations I have ever tried. 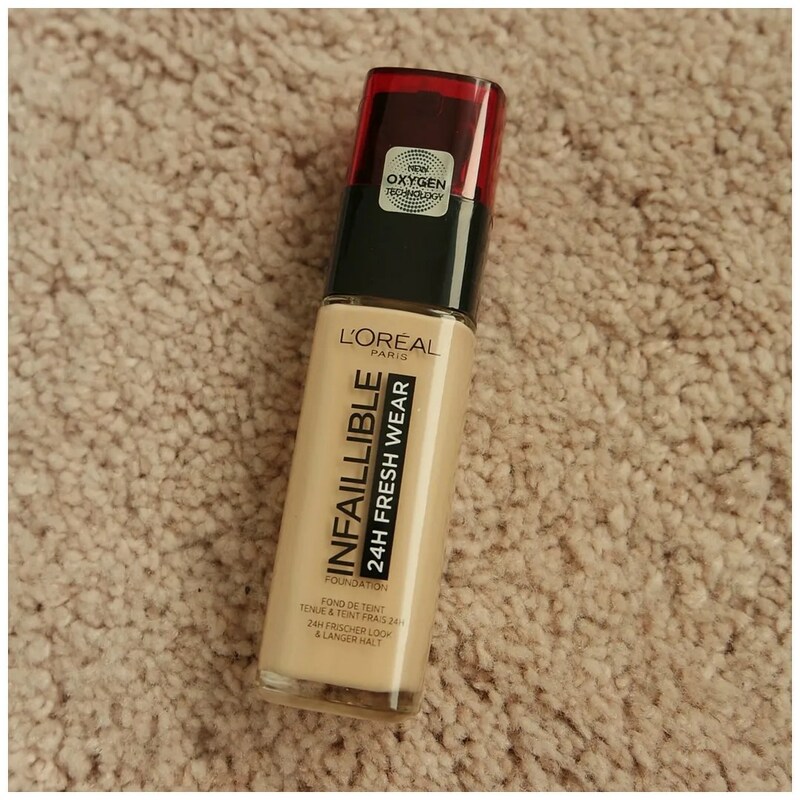 Would you like to try the L’Oreal Infallible Fresh Wear foundation? Thanks! I hope you have a lovely weekend too.